I like this idea...I love the proportion or percentage of the races presented here in this suggestion who should be chosen to sit as judges to a beauty pageant such as Miss Earth. We will know who will truly shines the most - a stand out who will linger in your mind for a long time. I also like the taste of these races when it comes to beauty contests. I like it if most of the preliminary judges were PURE BLOODED Latinos, Americans and Europeans - at least 50% of all preliminary judges were Latinos, 20% Americans and 10% were Europeans the rest Filipinos. In the finals, I want the telecast judges would be 40% Latinos, 30% Americans, 10% Europeans and 20% Filipinos. There were at least 15 judges. I like Latinos and Americans preferences when it comes to selecting a BEAUTY QUEEN! When Denise quinones won.. all judges were americans except one judge. So who was the winner? an american.. of course PR is american. and you want latino judges coz you want latinos to win. it's all relative. but I prefer that way and regardless of that, at least I will have a peace of mind knowing that there is this proportion of judges Latinos, Europeans, Americans and Asians and I can always find good reasons why they choose this woman as the winner of the contest. INDONESIAN JUDGES SO THAT THEY WILL WIN THE CROWN 100% AND WILL NOT FOREVER BITTER WITH MISS EARTH AND PINOYS ANYMORE. You can always interchange the proportions or percentage of judges between Latinos, Americans and Europeans every year and seldom Filipinos so as not to be bias or play favoritism and you can include African and a few Asian judges so as to complete the diversity of the panel of judges. Remember not only Latinos are the judges there are also Europeans, Americans and Filipinos among the panel of judges which also comprises HALF OF THE JUDGES which can spell the difference between favoritism and the clear most deserving winner so you can't accuse that it is just favoring the Latinos. Say the Latinos gives very high scores to their Latino contestants and very low on other contestants there is this other half who can also give them (the Latinas) very low scores and very high scores on other contestants so you can see the difference and see who stands out. It is about taste, flair and preference for someone who is different among others. That's is the role of the proportion of the judges to distinguish who really SHINES the most and not favoritism to a specific contestant of your own country. and As I said you can always interchange the proportion or percentage of judges based on their races every year. In the spirit of equality and fainess, why not make it 20% Hispanic, 20% American, 20% European, 20% African and Oceanic, and 20% Asian so that all regions will be properly and equally represented. The selection of "contenders" to compose the judging panel is based on a set of evaluative verifiable criteria. It should not be based on the individual observer's whim and caprice. The selection process is deliberated at length and the final list released only after a thorough background evaluation is concluded. The whole process takes months to accomplish. Personal integrity, industry reputation, professional and academic achievements are some of the attributes where any hint or published record of any wrong doing disqualifies a possible contender to sit in the panel. A screening committee (ad-hoc) is set up where all the members of impeccable performance (in both their personal and professional pursuits) are tasked with the stringent selection process. I'm speaking from personal experience (not as a panelist) but as a former "tempo" runner of an functioning Corporate Affairs, Public Relations & Marketing Division of a major conglomerate that handles a national pageant under its wings. Talking of evaluative criteria, that deserve another topic for discussion. Last edited by beautywatchnyc on Tue Nov 06, 2018 12:04 pm, edited 1 time in total. divine_nymph wrote: I like this idea...I love the proportion or percentage of the races presented here in this suggestion who should be chosen to sit as judges to a beauty pageant such as Miss Earth. We will know who will truly shines the most - a stand out who will linger in your mind for a long time. I also like the taste of these races when it comes to beauty contests. WTF! Did you read out loud and listen to your post?! You sounded like an idiot. Let's say they adhere to all the rules you mentioned or stipulated whatsoever my point is RACE... their races Latinos, Europeans, Americans which meets all your criteria and qualifications to be judges we want this kind of proportion to get the kind of woman who will be the winner. Oh by the way someone said in the main Miss Earth 2018 Coverage thread that the org. really wanted to crown a Vietnamese as Miss Earth. Now I know why there are two Vietnamese who served as judges last Saturday. divine_nymph wrote: Oh by the way someone said in the main Miss Earth 2018 Coverage thread that the org. really wanted to crown a Vietnamese as Miss Earth. Now I know why there are two Vietnamese who served as judges last Saturday. You don't besmirch MEO's integrity and reputation built over 18 years of hard work by a conspiracy theory or unfounded perception. Last edited by beautywatchnyc on Tue Nov 06, 2018 2:38 pm, edited 2 times in total. Is that suggestion even practical, realistic and credible? someone said this, someone said that. Since when do you listen to gossipmongers? How selfish. Well you can be perpetualy tormented but your suggestion would float adrift. No one complains about a majority of Americans judging Miss Universe or Japanese judging Miss International. You can buy peace of mind somewhere else. 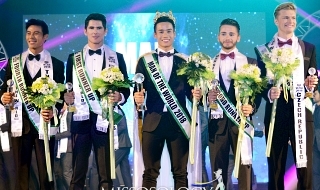 If you can tell favoritism about a Latina winning Miss Earth what about Vietnam winning Miss Earth with two Vietnamese sitting as a judge then you will make an excuse or reason out she won it all on her own credit or performance same goes with the Latina with this proportion of judges. If a Latina deserves it why would you deter or bar with all or any means for her to win it's not that all of the judges were Latinos but only a portion of all the judges what can you say about the rest of the judges? Don't they have a mind of their own judging who they believe as the rightful winner? If you are confident enough with your contestant then you will have no problem with this proportion of judges else you just want to play favoritism to some because of country, race, continental affiliation or sponsorship or whatever deals they have. With the current set of judges there is this impartiality towards a specific continent or favoring someone who has this shady dealings. I know you will always find excuses to this kind of noble intention because we could not rid of that something shady behind. What are you talking about? I am talking about Miss Universe, its prestige and its quality of winners they look spectacular winners.. what do you say? All American judges in Miss Universe? There are Latinos, Japanese, Filipinos, Europeans who sit as judges remember Miss Trinidad and Tobago sitting as judge? Sushmita Sen as judge? chef Nobu, British actress in 2010.. and the winners? Africa in 2011 and 2017, Americas in 2012, 2013, 2014, Europe in 2016, Asia in 2015 and you see it as one sided? you are making me laugh hard... .. when was the last time an African won Miss Earth on its own credit and performance and not just by default meaning first runner up assuming the title after the original winner was dethroned? well yes I can be at peace of mind with Miss Universe and that is the type of preference, flair and taste I have. 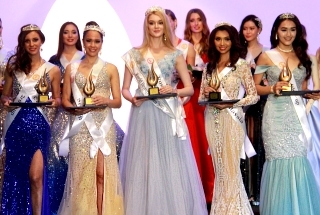 I still prefer this proportion of judges in an Asian based pageant at least in Miss Earth as this is the most sensible, stratified way to yield an outcome for a pageant. 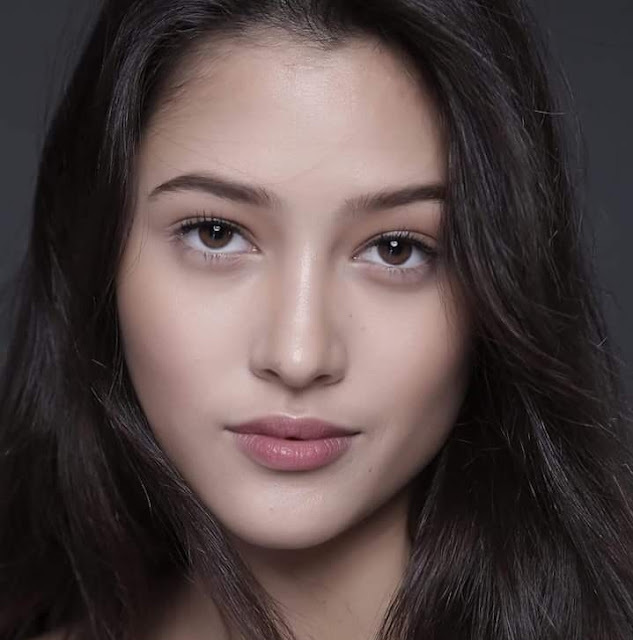 There were 2 Chinese judges in Miss Earth 2018 and only one Vietnamese (Linh San). i think there are two - a male and female one is a designer and one is an executive of a company I think. Vietnam is formerly French Indochina and Vietnamese and Chinese are very close but I am not sure about the ties of the judges. Why Miss Earth winner is not among the reigning internatonal queens invited to various national pageants. SIMPLE: These organizations don't value or give importance to Miss Earth since they are not receptive to the ideas and clamor of international pageant fans community including the JUDGES DIVERSITY suggestions because they already know some nasty things behind why the results of the contest are like these - nastier than politics and more about influence and who's who. It fell on deaf ears because of the nasty things behind the contest. 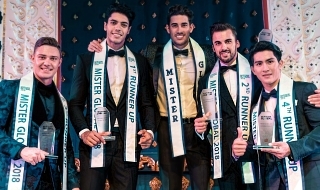 If you respect and appreciate your "INTERNATIONAL" pageant fans you could have heed the suggestions and implement it not just your local domestic pageant fans. I know that there is something fishy why these things could not implemented nastier than politics more about influence and who's who by making us such lame excuses but we know there is nasty things behind it. You could not digest the truth barely even swallow your ego and pride. [b]YOU COULD NOT DIGEST THE TRUTH BARELY EVEN SWALLOW YOUR EGO AND PRIDE.